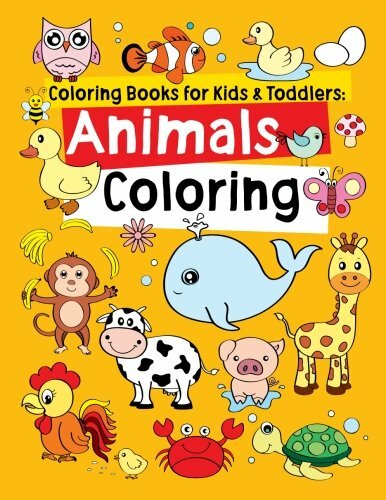 "Coloring Books for Kids & Toddlers: Animals Coloring" This adorable coloring book is filled with a wide variety of animals to color : Sea Animals, Farm Animals, Jungle Animals, Woodland Animals and Circus Animals. Kids will love coloring them all! This is a coloring book with 48 pages to color that keeps little ones busy and entertained for hours. Each picture is printed on one side of pure white paper to minimize scoring and bleed-through. It is also suitable for framing when complete. 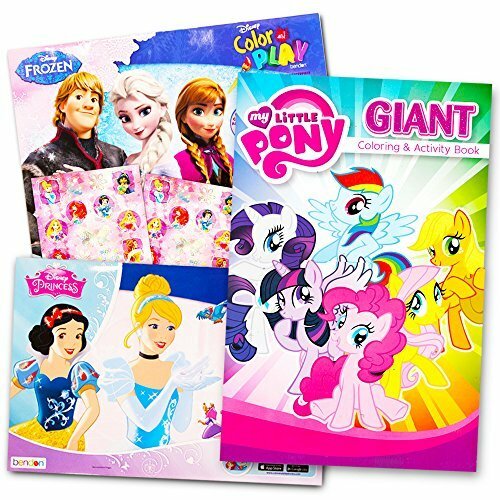 Delight your Disney Princess and My Little Pony fan with this Coloring Book Super Set. Featuring Disney Princess and MLP favorites including Elsa, Belle, Cinderella, Rainbow Dash and Pinkie Pie! 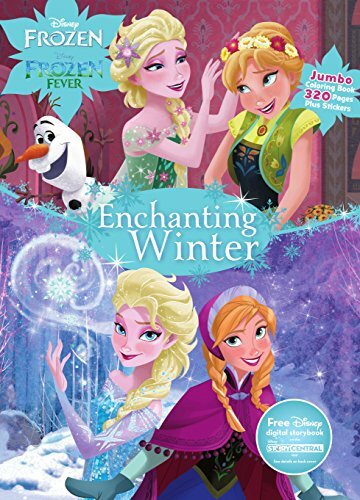 Each giant Disney and My Little Pony coloring book measures 11x16" and includes 32 pages of coloring fun with favorite Disney Princess, Disney Frozen and My Little Pony characters. The perfect size for coloring on the floor. This Disney Princess and My Little Pony coloring book set will provide many hours of fun with games, puzzles, mazes and coloring activities. Includes 3 giant coloring books: 1 Disney Princess coloring book, 1 Disney Frozen coloring book, and 1 My Little Pony coloring book. Includes a bonus pack of over 100 Disney Princess stickers! Great gift for your favorite Disney Princess, Frozen and My Little Pony enthusiast! This coloring and activity book set will provide many hours of learning and fun ! Perfect as Disney Princess, Frozen and My Little Pony party supplies and party favors. Save: $1.05 (19%). 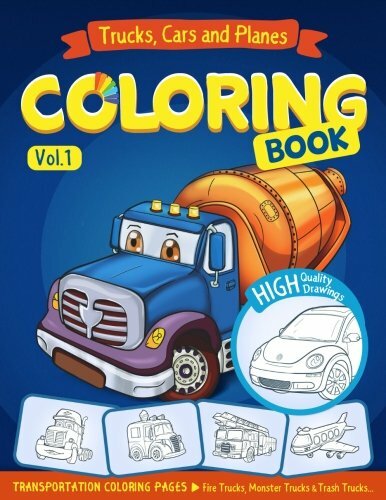 List Price: $5.99 Do your kids love Cars, Trucks, and Planes - Then this coloring book is for you. Coloring Book is for boys and girls aged from 2 to 8 years old (Coloring book for preschoolers and toddlers). The Coloring book is packed with the best trucks, cars and planes for you to spend a colorful time with your kids or let them enjoy it by themselves. Special bonus includes coloring pages of Fire trucks, Monster trucks and Garbage trucks that both boys and girls will love to get creative and color. Kids can use pencils, crayons or felt tip (if felt tip - I would not recommend to color both sides) and they can then pin up the best coloring pages in their rooms. Each drawing is high quality that will appeal to make the little ones grab their favourite pens and start coloring! 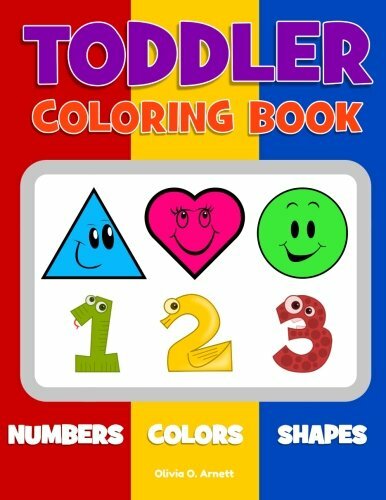 A perfect learning activity workbook for toddlers, either boys or girls for their fun & exciting learning of basic shapes, numbers, and counting, all done while super fun coloring! 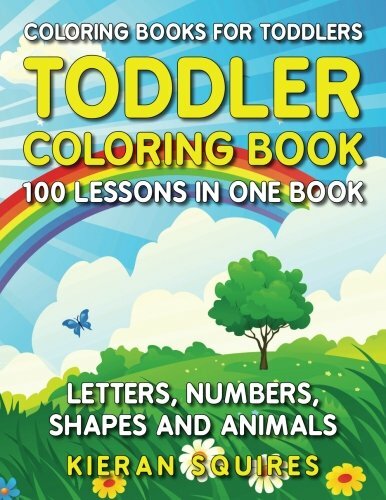 This very book, "Toddler Coloring Book. 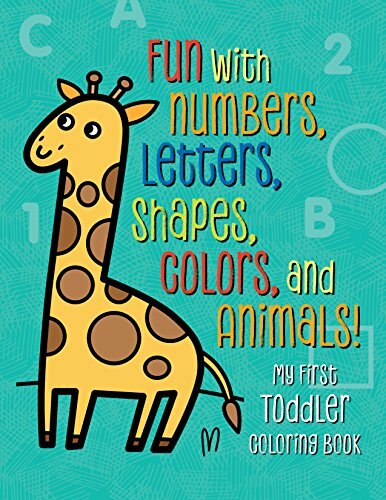 Numbers Colors Shapes: Baby Activity Book for Kids Age 1-3, Boys or Girls, for Their Fun Early Learning of First Easy Words about Shapes & Numbers, Counting While Coloring! ", contains easy-and-cute coloring pages of; Shapes Circle, Oval, Square, Rectangle, Triangle, Pentagon, Star, Heart, Cross, & Diamond Numbers 0, 1, 2, 3, 4, 5, 6, 7, 8, 9, & 10. Counting Guided counting from 1 to 10 of each shape Coloring Every page is of giant size (8.5 x 11 inches), fun to color, and is presented in the super cute smiley faces that every toddler would sure to enjoy. Plus!, every coloring page is printed on one side of each paper to prevent color bleed while the adorable ones exercising their limitless creativity. This perfect combination would sure to please the little angels, keep them entertained and be busy for hours while coloring and, also at the same time, gathering basic concepts of numbers, colors, and shapes! It is most suitable for kids age between 1-3 years, but also suits any child who loves coloring and knowing the basics in a much more fun & exciting way! Based on the most up-to-date information available, this awe-inspiring collection features all the popular dinosaurs — plus recent discoveries! Thirty highly detailed drawings spotlight the Tyrannosaurus rex, Triceratops, Velociraptor, Iguanodon, Diplodocus, Carnotaurus, Oviraptor, Gastonia, Troodon, and others — all set in their natural habitats. 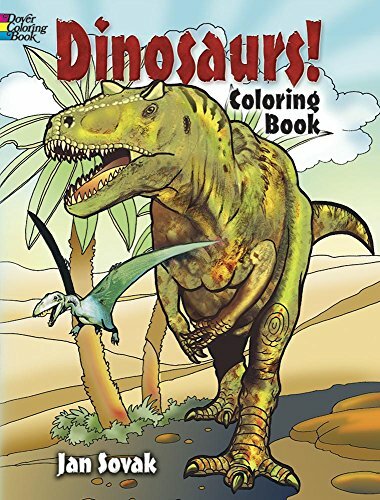 A great choice for dinosaur fans of all ages! 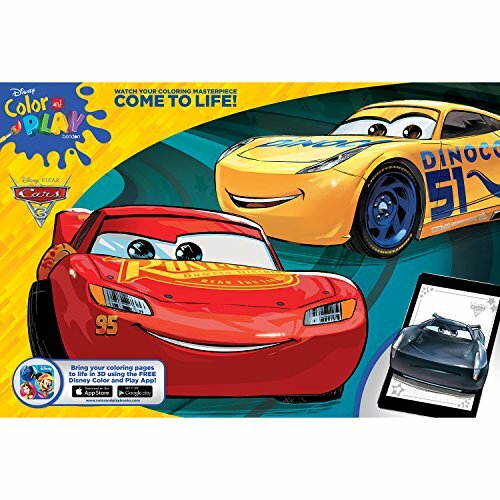 Get coloring on a giant scale with Bendon Cars 3 Giant Coloring and Activity Book! Measuring 16" wide, these gigantic pages will challenge even the most dedicated colorist that, when finished, make a masterpiece that would do any refrigerator proud. This is the ultimate coloring book for the ultimate Disney Pixar Cars fan! 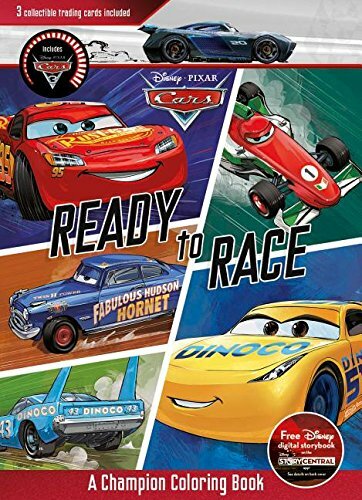 Join Lightning McQueen, Mater and the rest of the Disney Pixar Cars 1, 2, and 3 characters in 96 pages of coloring fun with Disney Pixar Cars Ready to Race! Add color to every page, and bring the adventure to life! With over 300 pages and 40 stickers, this is the ultimate coloring book for any Frozen fan. Add icy colors to Elsa's beautiful palace, color in Olaf's little brothers, and so much more! Then use your super-cool stickers to decorate the pages. Compare prices on 3 Coloring Book at ShopPlanetUp.com – use promo codes and coupons for best offers and deals. We work hard to get you amazing deals and collect all available offers online and represent it in one place for the customers. Now our visitors can leverage benefits of big brands and heavy discounts available for that day and for famous brands.